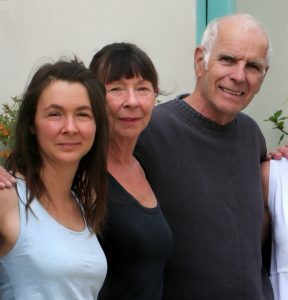 Jo and Roger are a couple who first came to Glossa in 1999 after years of holidaying all over Greece. They fell in love with the views and the village and decided to move over from the UK as soon as possible. Ella is Jo’s daughter who visits as often as possible and runs the rentals side of the business from her home in Slovenia. See our Facebook page for pictures of Glossa, including Roger’s art work – much of it inspired by the island and its people. 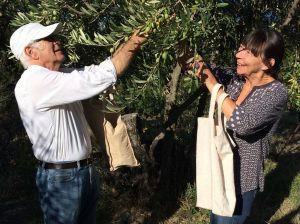 Jo and Roger bought a house in Glossa in 2003 and set about creating a business based on what they have learned over the years. a full project management service, including putting you in touch with lawyers and notaries, and liaising on your behalf with builders, architects, utility companies etc.